There are many Internet websites that offer a free Mayan astrology reading for interested persons. However, seekers should be aware that Mayan astrology presents a drastically different format from traditional Western astrology. These differences arise from inherent theological distinctions and the fact that the Mayans abided by an entirely different calendar. Such distinctions can make the process of understanding your free Mayan astrology reading a little confusing. MysticScripts.com presents one of the more thorough explorations of Mayan astrology. So if you only visit one site for your free reading, MysticScripts will provide you with a fuller understanding of the Mayan symbols in your natal chart. Most free horoscope readings provide interested parties with a taste of what astrology has to offer. However, rarely do they present an accurate and in-depth portrayal of the human mind. When seeking a free Mayan reading you want to be on the lookout for websites that sum up your personality in a single day sign. Just as many Western astrology sites use the Sun sign as an all-encompassing measure of your psyche, one Mayan glyph represents only a fraction of your person. Mayan astrology is different from Western astrology in that it doesn't use the planetary bodies as guides into the metaphysical. However, this form of astrology is based on similar principles. The idea that unseen energies are at play in the grand scheme of things is a concept that is found in all forms of astrology. Whether the gravity of planets is a governing factor or some sort of supernatural energy flows through the universe and determines the cause of things, energy is still the focus. 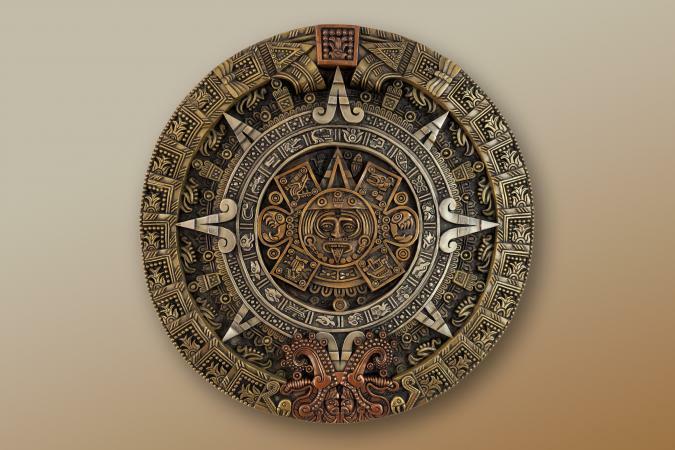 Mayan astrology is not necessarily superior or inferior to the astrology of other cultures, and you will often find that one type of astrology seems to reveal a reading that is similar to another. However, free Mayan horoscopes are typically not as reliable as the reading you would receive from an experienced and personal Mayan astrologer. Hence, be wary of interpreting your birth glyph as the all-encompassing truth of your nature. Instead, while you are pursuing a free reading, try to educate yourself regarding the details and differences of Mayan astrology in order to give yourself a fair chance of understanding your birth chart.